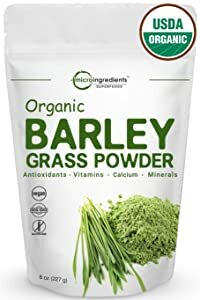 What’s barley grass juice powder? It’s exactly what it sounds like – a dietary supplement powder made from the cold-press juice of barley grass. The name is predictable, but it has some interesting benefits for health and wellbeing that might be a little less obvious! Today we’re going to be covering this increasingly-popular supplement, what it can do for you, what to look for if you’re in the market for a barley grass juice powder, and other information you need. We’re also going to be covering the most popular barley grass juice powder on the market and discussing what separates them – as well as our top pick. These reviews may guide your choices, but they’re also just a great way to look at what stands out on the market, as well as what to avoid! Why Should You Use Barley Grass Juice Powder? The main benefits to barley grass juice powder are going to be the antioxidant powers and the phytonutrients that you find in the barley grass itself. These compounds are great for preventing chronic illness and degeneration in the organs. Antioxidants keep cells healthy and prevent mutations, cell-death, and other symptoms of accelerated aging. This means less cancer risk, as well as an improved general health profile. It’s also dense with micronutrients such as vitamins A, B, C, E, and K – as well as a balanced combination of essential trace minerals. There are some secondary benefits, too, such as digestive and enzymatic support, but we’ll cover those more closely. Vitamins are essential nutrients that may not be as glamorous as some workout supplements but play an essential role in your diet. A supplement such as a barley grass juice powder is a great way to stock up on vitamins and minerals, supplementing your diet and taking some of the pressure off of your food. They’re not an excuse for a bad diet, but they do provide you with an additional boost if you’re struggling or want to ensure the best possible intake. Vitamins aren’t as abundant in your diet as the big nutrients like carbs, fats, and proteins, but they’re essential to processes in the body – and organ health specifically. They’re crucial to keeping you alive, and deficiency in any vitamin can be a real problem for your overall health. As a bonus, many of the essential vitamins in barley grass juice powder are also powerful antioxidants – such as vitamins A, C, and E. These only add to the existing benefits of Barley grass powders. While they may only be found in trace amounts, these minerals are acutely essential to the way that your body works. Just like the vitamins discussed above, these compounds are crucial to sustaining your health and wellbeing. Deficiency in minerals is likely more common than vitamins, but very few people are concerned with their intake. Effective dosing and variety of minerals – such as magnesium, zinc, and calcium – are a key way of using barley grass powders to supplement your diet. Many of these are used for health and exercise performance, making barley powder a great choice for anyone looking for a better diet. 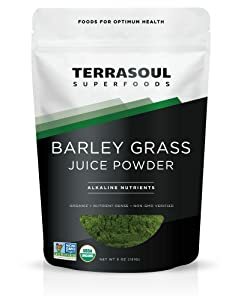 Barley grass juice powders are rich in minerals, supporting energy transfer, exercise performance, and reducing the onset of common problems like osteoporosis and age-related muscle loss. 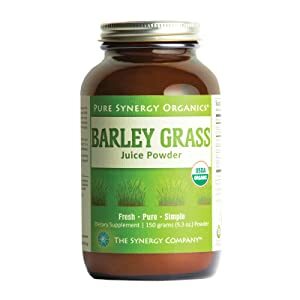 There are no real side effects to barley grass juice powder – it’s a simple product that is only going to be a problem when consumed in excess or by those who are allergic. Of course, assess your tolerance by starting with a very small intake and slowly build up as you feel comfortable. If you experience allergies to related grasses, contact your medical professional to make sure you’re safe to take this product before you purchase it! Concentration is key. This means how much of each crucial vitamin and mineral you find in each product, as well as the source and their overall effectiveness. If you buy a barley grass powder, you want it to have the effects we’ve mentioned above – which means effective dosages. Secondary ingredients make up the real difference here. Combining a barley grass powder with other high-quality ingredients can give a product the edge as it allows it to offer you more value without any more effort. This could be anything from complimentary nutrients to something unusual like creatine. Manufacturing practices are important for a product like this, where problems with contamination in the supply chain add up in the product. We look for specifically certified and tested products, since these provide the best results with none of the concerns about what you’re putting in your body! 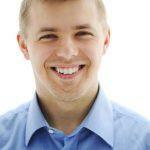 Value is always a concern – where quality is the same, the cheaper product will always be the better choice. The cost offsets some of the biggest pros and cons, so we’ll briefly discuss any products where it’s relevant! Using these criteria – and any other relevant ingredients or features – we can figure out if a product is worth your time and money. We’ll be using these key features to judge products that already exist, and help you decide how they stack up compared to each other. 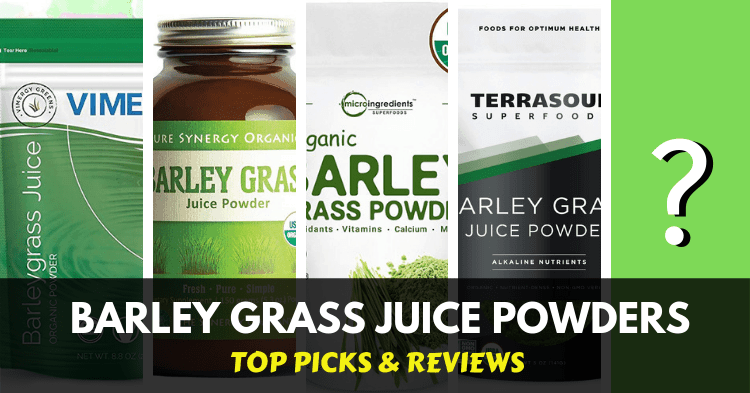 We’re covering some of the most popular and noteworthy barley grass juice powder supplements, providing a quick overview of their value, ingredients, and how we rate them. They are all unique, but there are some common themes and distinct factors worth discussing! This is far from a comprehensive list, but we’ve picked out some of the most important and popular products. You’ll see more variety on the market and the edges of barley grass powder and Supergreens are often blurred, so we’ve chosen products that are all about the barley grass. This product misses a few of the essential criteria that we mentioned above, in ways that we are concerned by. This product has almost-zero benefits when it comes to vitamins and minerals – at least when compared to others on this list. Concentrations of key micronutrients are no more than 7%, with a very narrow range of nutrients included at all. This is a concern because we’re trying to maximize health and wellbeing. From the other products, it’s clearly possible for these supplements to carry additional vitamin and minerals. Since these are essential and help combat deficiency, a great barley grass powder will contain vitamin support. The price point is also huge – it’s at least twice the cost of other products on this list, which is a huge mark-up for a product that has not shown any real reasons to buy it so far. It’s not only expensive, but also doesn’t demonstrate the kind of quality we’re looking for with this kind of product. A far more promising product, this provides a detailed outline of the important vitamins found in the product. We’re impressed with the rich concentration of vitamin K – an often-overlooked vitamin that is associated with proper kidney health. This product also provides enzymatic support for the barley grass powder, making it a more effective dose and supporting the overall quality of the product. Overall, this is clearly the best so far, with a focus on providing value in the form of vitamins, as well as far better pricing and an approach to barley grass powder. It doesn’t make excessive claims, it just provides a high-quality, USDA-compliant source. It’s not fancy, but its better value and it does exactly what it says on the bottle. This product may win out on the vitamin support category simply by having the most relevant vitamin count we’ve seen in a barley grass product so far: high vitamin C count. Vitamin C is far more useful in your day to day life than vitamin K – something found in other barley grass powders. This vitamin is involved in keeping your joints healthy, repairing the tissues that are worn down by life and exercise, reducing the symptoms of aging. This also includes a relatively high iron intake, a great choice since Iron is one of the most common deficiencies – especially in women or those with a plant-based diet. This makes it a great multi-purpose supplement since it is totally vegan and USDA-certified organic, non-GMO, etc. Whatever your ethical commitments, this product can add an extra dash of micronutrient power to your diet. This can be added to drinks and food to improve their nutrient profile and has a surprisingly refreshing and pleasant taste. None to speak of – this is a great product! 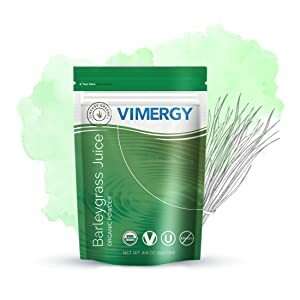 This product is very similar to the Pure Synergy barley grass powder – it focuses on vitamin K, while other nutritional values are very close to null. This isn’t necessarily a bad thing – especially since it out-performs Pure synergy – but we do prefer vitamin C supplementation. However, it provides a much greater concentration per serving at 166% of your daily requirements, providing complete support for this essential micronutrient. Otherwise, the differences are relatively hard to come by. As with other products on this list, this entry comes with a high-concentration, easy to use scoop with good mixability, and a high concentration of antioxidants. It is comparable with all of the other products we’ve mentioned so far, with the only shortcoming being the lack of vitamin C to keep up with Microingredients’ product. Barley grass powders are hard to compare or since the most important part is that they provide highly-concentrated and high-quality barley grass juice powder. However, this is something that is common across all of these products. For the time and care taken to select secondary ingredients, our main pick is the Microingredients product. This prioritizes the most effective and important vitamin among any of these reviews, with benefits across the board and in crucial areas of longevity. Overall, we’re not seeing much variety within the market – we’d love to see a product that combines barley grass powder with other superfoods, like wheatgrass powder supplements or even a green superfood. At present, however, a cheap and effective product like Microingredients is a great way to get this product into your diet with additional vitamin support at a great price. This is exactly why barley grass powder is appealing, and we’re impressed with a product that goes hard on the basics!